No cable? No problem with the Amazon Fire Stick! From the most popular online shopping site Amazon.com comes a truly amazing way to watch movies, television series, cartoons, sports, music videos and more on your high definition TV, the Amazon Firestick. In this quick guide, we walk you through “What is Amazon Fire Stick?” and – more importantly – “What is Fire Stick Used For?”. You won’t believe that a small stick, like a USB stick, can do to your boring TV. There is truly hope after all even if you do not have cable subscription. Use more than 7,000 apps that are currently compatible with the Fire Stick. These apps include Netflix, Hulu, Showtime, Sling, HBO Now and more. Get to watch quality high definition programming and take advantage of the features of your HDTV. Get to watch TV with the Fire Stick plus the Alexa Voice Remote. You can command your Fire Stick to find your programming and voila! Get Alexa to answer simple questions like the showtimes for a programming or to play music. In understanding “What is Amazon Fire Stick?”, if you have an Alexa Voice Remote – you can access FireStick’s most powerful features with simple voice commands, like “Search for Horror movies”. Get universal reach to more than 100 channels and apps that provide news, sports, daily information, weather and more. ..last but not least, Install Kodi on Fire Stick to watch Movies, TV Shows, Sports, IPTV, and Live TV Channel broadcasts! How does Amazon Fire Stick work? The Fire Stick does wonders to your HDTV but how does this really work? The stick allows you to connect to a Wi-Fi connection so you can easily stream programming from the web to your TV. But the best part of it all, you can watch all these great programming for free. No need to subscribe to cable or satellite programming with the Fire Stick. Just plug the Fire Stick to the USB port of your HDTV and it will start to install and update programming. The Alexa remote that comes with the new Fire Stick allows you to control everything through your voice. Simply press the mic button on top of the remote to search across apps online, to control playback, to play music or to ask Alexa almost anything. 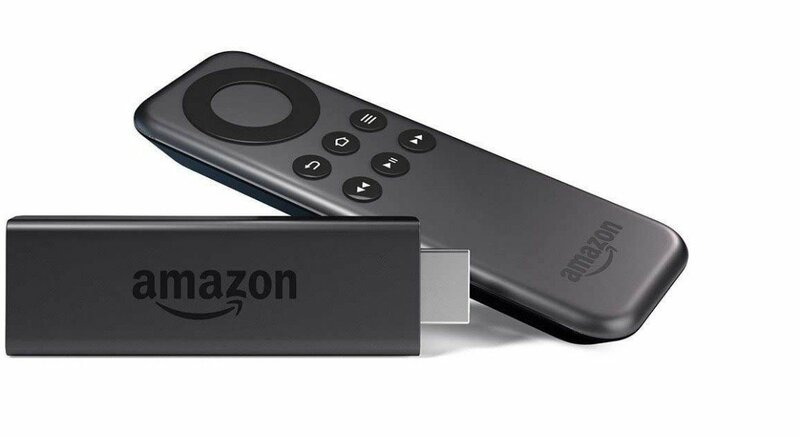 What is Amazon Fire Stick Used For? Additional “perks” you get with the Amazon Fire Stick..
Because you are ordering programming from Amazon Prime you will be able to unlock all the wonderful movies, programming, series and documentaries that you may have never knew existed. Get to watch original Amazon series too. Compared to watching regular TV, cable or satellite programming, there are no ads when you watch through Amazon Original. Kodi: But the real power of the Amazon Fire Stick is in the third party apps you can install, like Kodi and even Google Chrome web browser. What is Kodi good for? Everything you can stream online: music, movies, TV shows, games. Aside from movies and TV series, enjoy Amazon Music where you can find music from almost every genre. Aside from a large selection of free channels, you may also opt to add premium specialty channels like HBO or Showtime. Pay for the channels that you want to watch unlike cable or satellite subscriptions. You can cancel anytime you wish too. The Amazon Fire Stick with Alexa remote is just one of the many Amazon Fire products you may be interested in. The Fire Stick retails for $39.99 at Amazon.com and comes with a Quad-core processor, 1GB memory and 8GB internal storage. If you want a device that can support 4K Ultra HD then you should choose the Amazon Fire TV which retails at $89.99; it comes with a Quad-core processor, 2GB memory and 8GB internal storage. Amazon also has the Fire TV Gaming Edition for $129.99 that comes with a gaming remote and capable of supporting 4K Ultra HD. With your Amazon Fire Stick you can transform your ordinary HDTV into a streaming HD monitor that can also support platforms like Kodi and other important apps. Sideload apps and you can also use Google apps such as Gmail and YouTube. Amazon Fire Stick is easy to use and requires no additional programs or apps to work. What is Amazon Fire Stick? Explained in simple terms.